1. What is a bench scale? 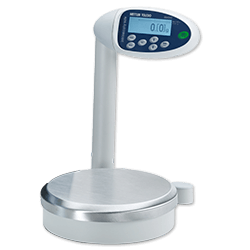 Bench scale applications range from mixing, weighing, counting and checkweighing. Our bench scale and portable scale portfolio offers solutions from high-resolution bench scales and bench scales for wet and harsh environments to bench scales for dry and dusty environments. 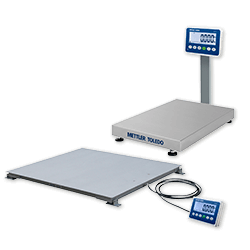 The METTLER TOLEDO portable and bench scale offerings are ingress protected up to IP69k for heavy wash-down processes to suit any industrial environment. Boasting small footprints and capacities from 0.6 to 600 kg and verified resolution of up to 60,000e, our products provide you innovative weighing functions for maximum efficiency with less operator effort. 2. What is a bench scale used for? 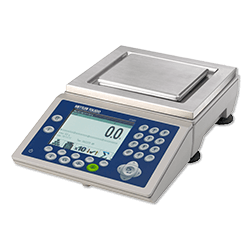 Using a METTLER TOLEDO portable or bench scale for fast and accurate weighing, mixing, counting and checkweighing speeds up your process and increases profitability. Whether you require a hygienically designed bench or platform scale to ensure easy and thorough cleaning and minimized cross-contamination risk or a high-precision bench or platform scale for sophisticated applications where the best accuracy is required, we have a scale to meet your needs. Many of our bench and portable scale solutions offer the ability to tailor it to your needs. Make it yours and get the most out of your investment. 3. Do bench scales require installation? Forget about difficult installation and long set-up times with our bench scales. They are versatile, ready-to-use weighing machines for a broad range of applications and environments, designed with your needs in mind. 4. Are bench scales portable? Yes. Portable scale solutions offer ultimate flexibility and portability. With a wide variety of uses, a portable scale is convenient to use, but it must also be suited to your environment and provide the accuracy you demand. 5. How much do bench scales cost? 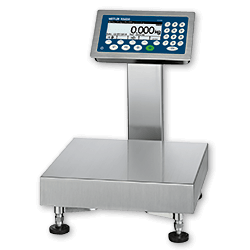 Our Industrial Basic line features attractively priced bench and floor scales for basic weighing applications. These simple, reliable solutions bring a lot of value for the budget-minded user. They are rugged and reliable scales at an affordable price, with some advanced features available on higher-end models, such as display-style options and connectivity to scanners or printers. Bench scales (platform and terminal) for a broad range of applications and environments. 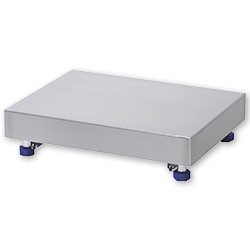 Stand-alone weighing platforms for all kind of industrial environments. 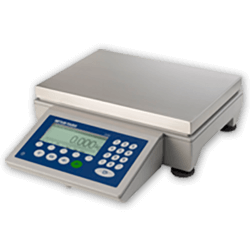 Attractively priced bench and floor scales for basic weighing applications. We support and service your measurement equipment through its entire life-cycle, from installation to preventive maintenance and calibration to equipment repair. Accurate weighing is essential to ensure continuous adherence to predefined process requirements. GWP®, the science-based global standard for efficient lifecycle management of weighing instruments, reduces measurement errors and ensures accurate weighing results. The Food Productivity Guide serves as a reference for people involved in production equipment selection and process design. It focuses on tangible process improvements and increased manufacturing efficiency. Hygienically designed weighing equipment speeds up cleaning processes and reduces the risk of contamination. Learn how our hygienically designed weighing equipment helps you facilitate fast and effective cleaning processes. When counting thousands of parts every day, accuracy is critical and mistakes can be costly. Piece counting with scales is a simple and fast way to determine the number of parts. Learn how to achieve reliable processes and increase productivity in parts counting. Safety is crucial for businesses that operate in potentially explosive environments. This guide provides you with extensive knowledge about explosion-protection methods, standards and regulations and installation and operation and maintenance of weighing equipment in hazardous areas.